Using great writing as a model doesn’t come naturally to students—it’s a skill that needs to be taught. Students benefit from examples—that’s a pretty obvious fact of teaching. And in my experience, one of the most effective ways to teach writing is to use mentor texts. By looking at examples of good writing, especially when that writing is published work done by professional writers, students learn to aspire to create effective pieces of their own. But for many students, the experience of reading to learn about writing is new and very different from what they have done in the past. This doesn't mean that they won’t benefit from mentor texts, but it does mean that you’ll have to show them what to do. Taking it slow and building on what they know will help, especially the first few times. Scaffold as much as possible and try the tips below to make it a pleasant experience for everyone. Once your students are comfortable analyzing mentor texts, they’ll be ready for my 14 questions for any mentor text. 1. Give any vocabulary and definitions up front. 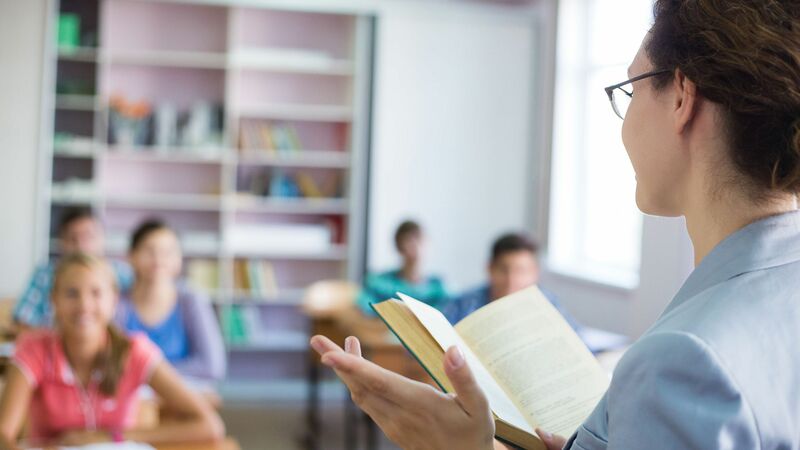 Students who are not accustomed to reading challenging work are often frustrated by difficult vocabulary, giving up as soon as they come across an unfamiliar word. So spend a few minutes going over any words that they might find discouraging. 2. Read the piece out loud or give students time to read on their own in class. I know not all teachers believe that students should be read to, but in my experience, reading out loud to my most struggling learners helps them stay on task, especially when the reading is challenging. If you’re not comfortable reading to them, give them time to read in class—assigning a challenging piece to be read alone at home will rarely result in a successful lesson. 3. Start off with questions that deal with the content. Students are usually accustomed to answering questions that deal with the main points of texts and how authors make those points with evidence or examples. Additionally, before students can examine how a writer has crafted a text, they’ll need to understand what the text is saying. So give them questions about what the author says and how they make that point before moving on to the more challenging questions. 4. When you come back to the text to look at techniques, be as specific as possible, naming sentences or words whenever possible. Rather than leaving them to learn from the text on their own, point to the sentences that you want them to notice. Questions such as “When the writer says _____ in the first sentence, how does she make you want to read more?” are much more helpful for reluctant or struggling learners than questions like “How does the author grab the reader?” If you can, number the lines or paragraphs, quote specific words or phrases, and show students exactly where you want them to look. It’s fine to task struggling learners with noticing sections of the text on their own, but give them at least a few questions that tell them exactly where to look. 5. Give multiple examples if you want students to try a technique. For example, if you want students to organize a personal essay by starting with an event and then going back in time to describe how they got there, give them an example of a big game and the season of practice, or a busted party and the series of bad decisions that led to it. If you want them to try adding figurative language to their descriptions, give them more than one example of how it might be worked into an essay. Just having a technique defined is not enough for many students. 6. Refer back to the mentor texts regularly, in teacher conferences or whole-class lessons or discussions. Don't assume that because students answered one set of questions on a technique they have internalized it and are ready to use it in their own writing. They might forget, or they might not realize that what they were being taught was something they could try out themselves. On the other hand, they might not have been ready for the lesson when it was taught, and they might be more prepared to try imitating a technique from the mentor text once they have started working on their own piece. 7. Let students see you trying the strategies as well. Students are much less likely to be intimidated about trying new techniques if they see you trying them first. It’s even more important to show them that you might have to struggle to craft your writing. Letting them know that no one is just naturally good at writing goes a long way in encouraging them to take risks and stretch their writing muscles. 8. Keep in mind that this is likely a new experience for struggling learners. This kind of higher-level thinking doesn’t come easily to many, so be patient and keep trying. You will see the benefits, and the lesson is worth the effort.